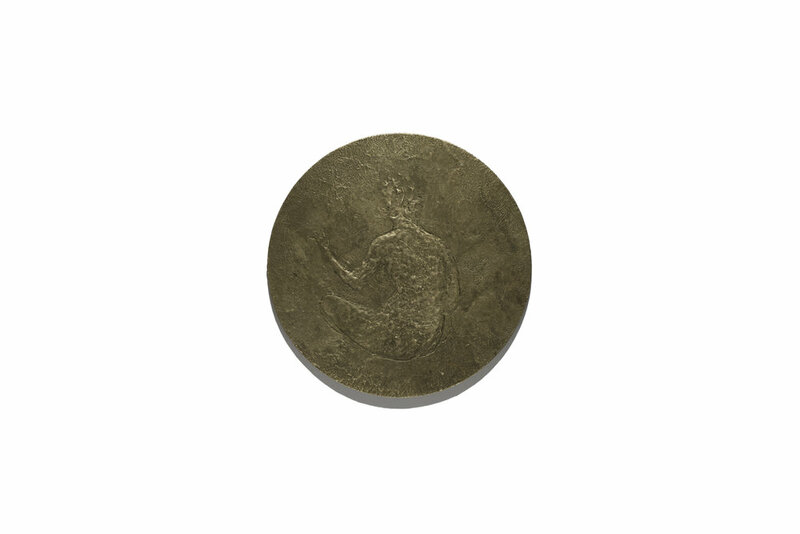 Lionize is a series of bronze casts of paintings . The backs of the waxes are hollowed out by hand, leaving grooves from the artist's hands and fingernails. During the pour, the bronze is adulterated with melted historical metals such as antique silver teapots, gold wedding rings, soldiers' and lovers’ lockets, spent bullets from times of war, and metal scraps from other sculptures. 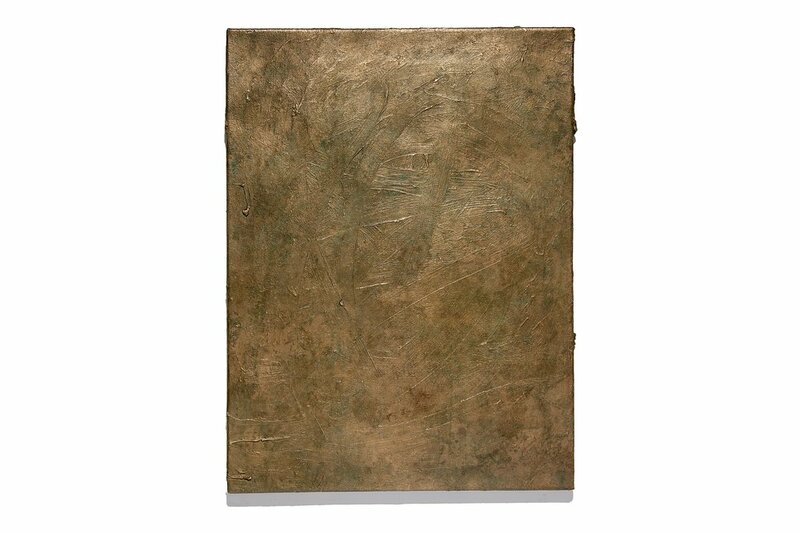 Leftover bronze is saved from earlier pours and reintroduced, resulting in a bronze alloy that contains more and more precious metal impurities over time. They are patinated through exposure to the elements. Most works in Lionize are in editions of up to three, six, or twelve pieces. If the mold used to produce the wax form of a piece breaks or is lost, no new mold will be made and the edition will be considered complete at the number of bronzes produced. This is a continuing series begun in 2016 and currently includes 14 works. These works are for sale. Contact for inquiries. 25 x 20 x 2 cm / 10" x 8" x 0.75"
40 x 30 x 2 cm / 15.75" x 12" x 0.75"
31 x 36 x 5.5 cm / 12.25" x 14.25" x 2.25"
19.5 x 17.5 x 3 cm / 7.75" x 7" x 1.25"
60 x 45 x 2.5 cm / 23.75" x 17.75" x 1"
25 x 20 x 4.5 cm / 10" x 8" x 1.75"
10 x 8.5 x 2.5 cm / 4" x 3.5" x 1"
45 x 36 x 3.5 cm / 18" x 14" x 1.5"
20 x 25 x 2 cm / 8" x 10" x 0.75"
14.5" x 8" x 2"